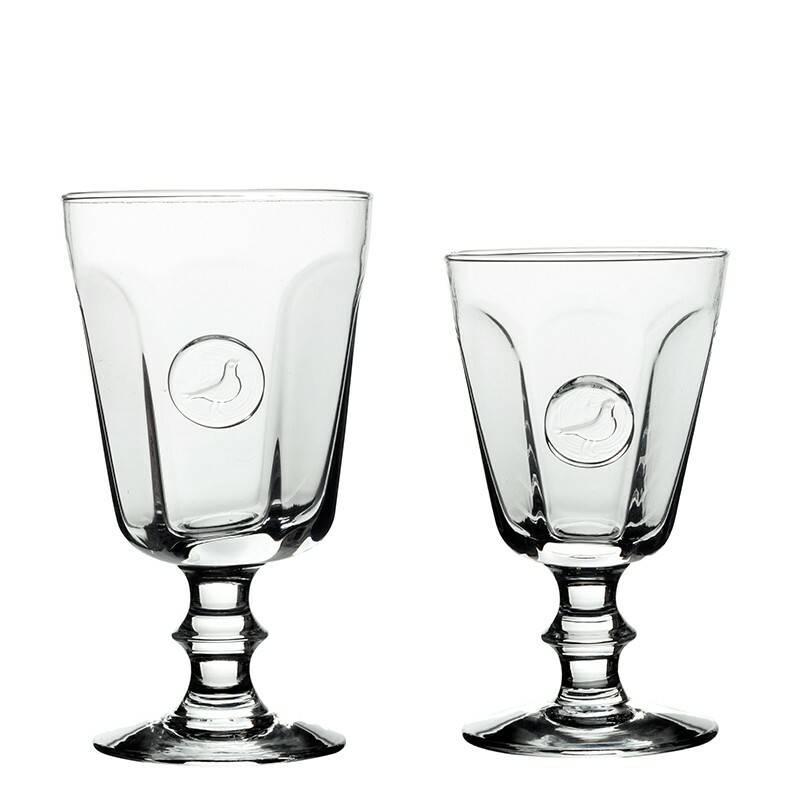 This collection of glasses surmounted by a seal marked with the iconic bird of Casa Lopez is manufactured by hand. Offered in two sizes, stemmed glasses and large water glasses, it is suitable for both party and everyday occasions. You can also choose a glass as a vase and place it on a bedside table.